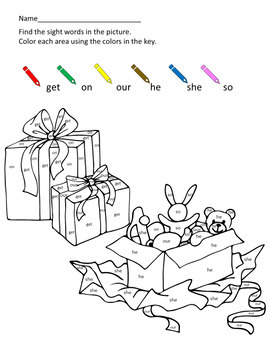 This Bundle includes:14 Sight Word Coloring Sheets (The kindergarten pack, the Halloween sheet, the Christmas pack, and the Spring/Easter pack) As more packs are added, they will be loaded.Great for early finishers, for centers, or for year-round sub plans. 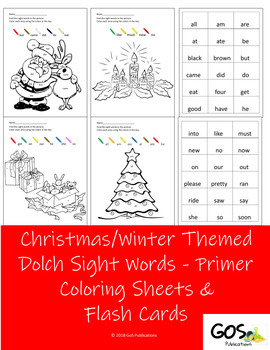 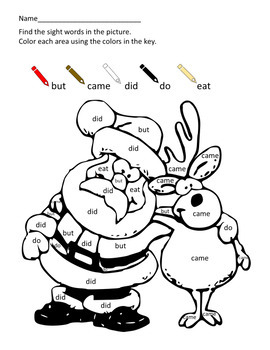 This packet includes 4 holiday themed coloring sheets and 3 pages of flashcards utilizing the Primer Dolch Sight Word list. 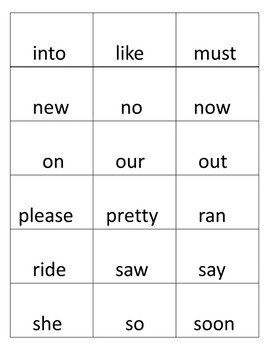 This is perfect for centers, for an activity for those who finish early, as reinforcement for students who need extra practice, or for the emergency sub folder.